Canberra’s National Convention Centre has launched an interactive website to assist event organisers with interactive maps for the venue’s 16 meetings and event spaces, capacity charts and an image gallery offering an insight into themeing possibilities and past events. The interactive maps open up the venue and its surrounds using virtual tours, past event slide shows and detailed floor plans. Centre now available online to inspire planners. “The key focus with the National Conventions Centre website upgrade has been on improving website content, ease of navigation and interactive elements to help attract potential customers and show off our world-class venue in its best light,” said National Convention Centre director of sales and marketing, Paul Shaw. 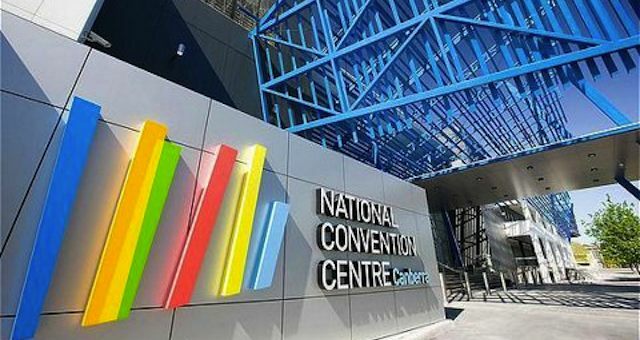 The National Convention Centre is the largest meetings and events facility in the Canberra. Recently undergoing a $30-million refurbishment, it offers facilities for exhibitions, conferencing, meetings, performances and special events. The venue can also be booked exclusively for events and offers the use of the Royal Theatre, five tiered theatrettes, an exhibition hall, ballroom, five large flat floor rooms, smaller workrooms and foyers. To take a virtual tour of the National Convention Centre’s facilities or to start planning your next event click here.